I love canning. It’s no secret. I have shelves upon shelves to prove it. I’ve been neglecting my little blog lately, but I have a good reason. Fresh produce waits for no one! All my free time lately has gone to preserving fruits and vegetables for the winter. Bear with me, dear readers, I promise I have some wonderful recipes to share with you. Including some new, fabulous curry recipes! This entry was posted in Canning, Food and tagged preserving, Random, Vegetarian/Vegan on August 31, 2012 by Shari. Making jam and jellies is something I really enjoy. I’m not really sure why, but when I’m making jam or jellies I feel so relaxed and all the sudden I have all the patience in the world (which says a lot, usually I have the patience of a 3 year old). 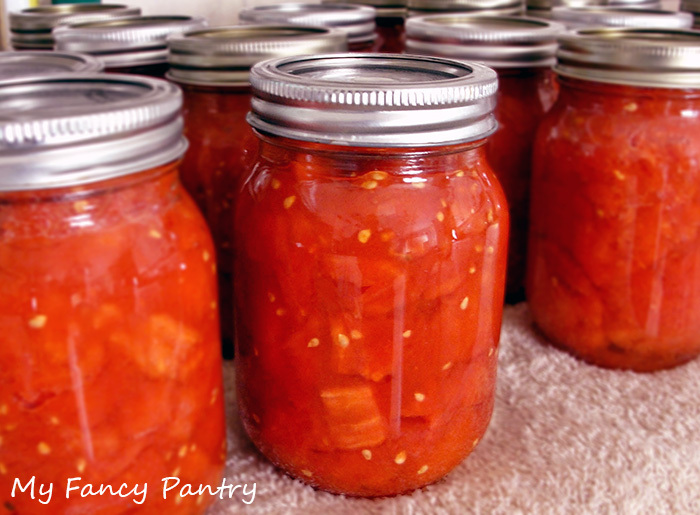 I do most of my canning and preserving in the late spring through early fall, probably similar to most people. But the other day I was thinking…why not winter? Sure, I guess the logical and most obvious answer would be: no fresh produce, but that wasn’t a good enough reason for me. I mean, I froze tons of berries at their peak of freshness and if they’re good enough for smoothies and pies why wouldn’t they be good enough for jam? Oh, let me tell you…they were! 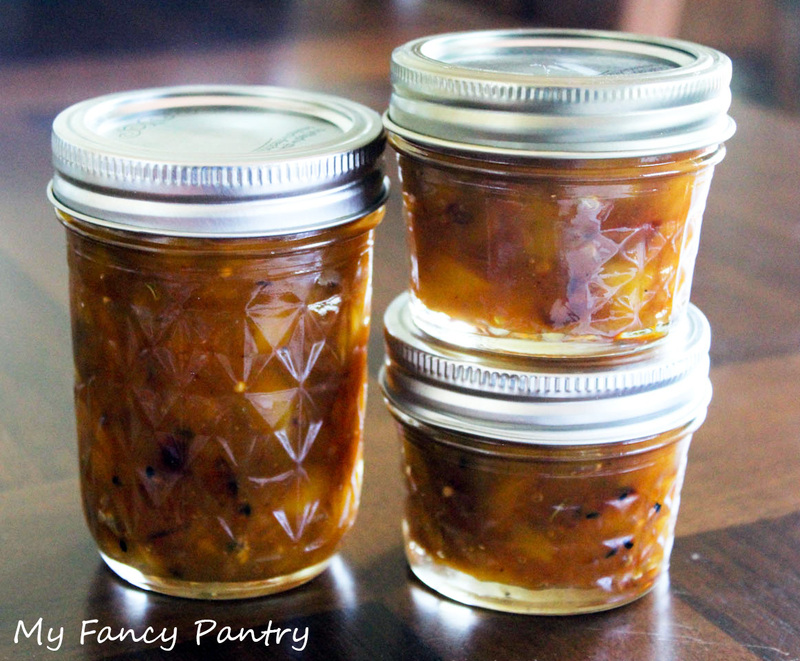 Christmas is coming up and I thought a variety of homemade jams, jellies and preserves would make awesome gifts. Give my family the gift of summer…in the middle of the winter, you know? That beats unwrapping an Ipad anyday!!! I took approximately 4lbs of strawberries out of the freezer (this will yield around 5 cups of fruit/juice when thawed). 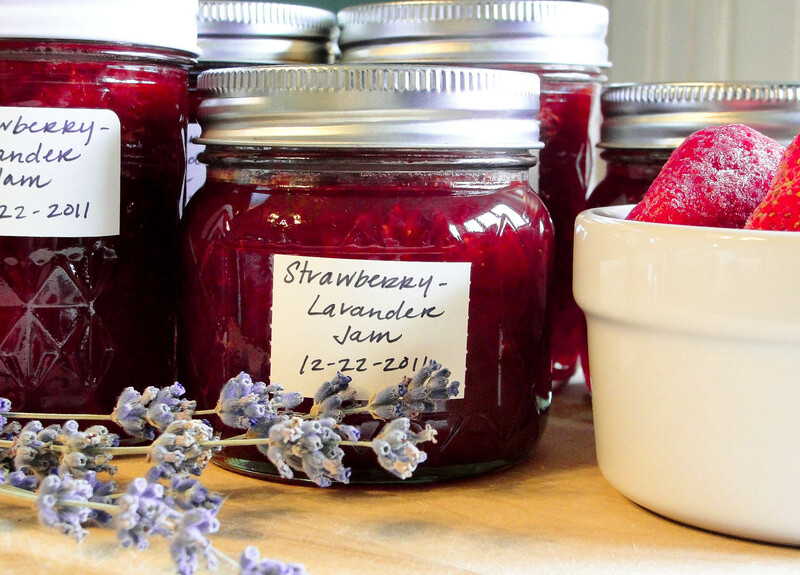 Then I got this brilliant idea…what if I added lavender to the jam? I’m always looking for an opportunity to add lavender to everything and anything I possibly can. Some would say I’m obsessive (I’m lookin’ at you, husband!). I googled a few recipes and found that I’m apparently not the only one who decided strawberries and lavender would make a perfect pair, as it’s been done many, many times. 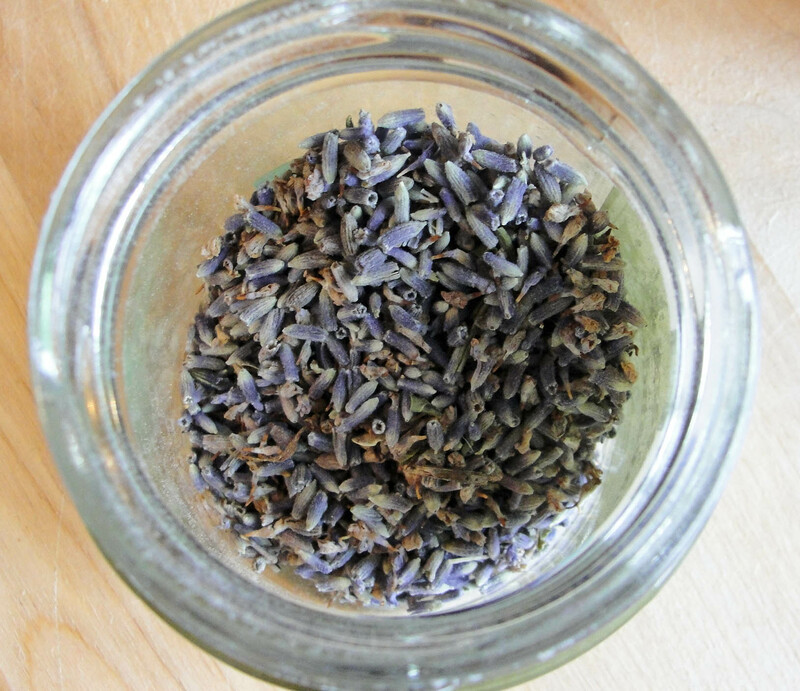 Some of the recipes were more confusing—or time consuming— than I wanted, so I simply ground up 2 tablespoons of lavender buds (you can find these at co-ops and most specialty grocery stores. I also grow my own.) and rubbed it into the sugar—making lavender sugar! Then I followed the directions on the box of pectin I bought. So easy! I don’t always use pectin when I make homemade jams, but this time I wanted to be certain it’d set up well in time for Christmas. Soon enough, I had 12 beautiful jars of homemade jam! The lavender flavor was a little overwhelming, so next time (and there will be a next time!) I think I’ll probably cut back the amount of buds to about 1 tbsp. The aroma of the jam is incredible! Strawberries and lavender were meant for one another! And just in case you were wondering, no one would ever be able to tell I used frozen berries. It definitely tastes like summer in a jar! This entry was posted in Canning, Food, Recipes and tagged Fruit, Herbs & Flowers, jam/jellies, preserving on December 23, 2011 by Shari.